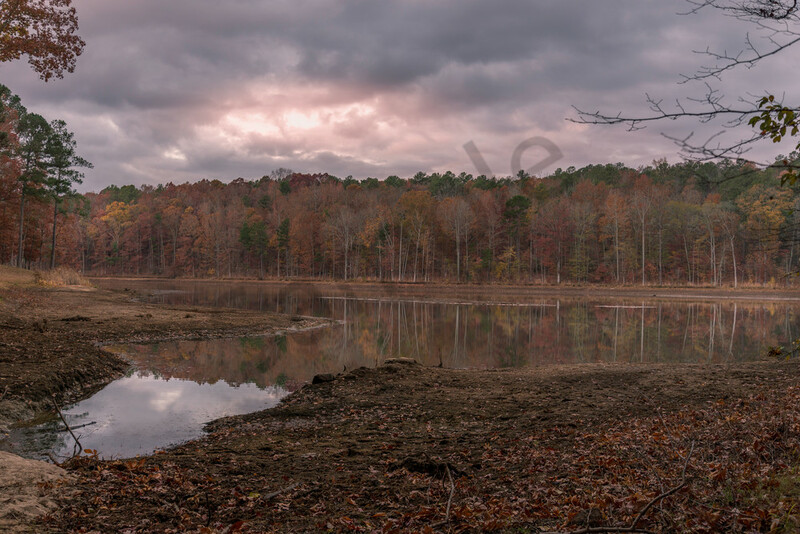 This is another of the fall series of sunrise shots taken at the Line Creek Nature Trail in Peachtree City, Georgia. The morning was extraordinary with its colorful clouds reflecting the sun's light off of the colorful fall leaves. Further catching my eye was the reflection of the sky in the lake. It was a magnificent morning to be up early!